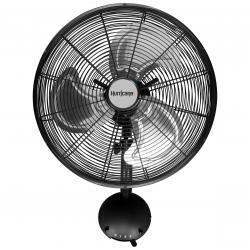 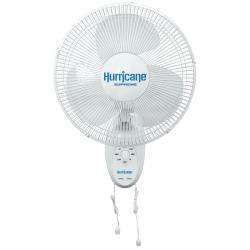 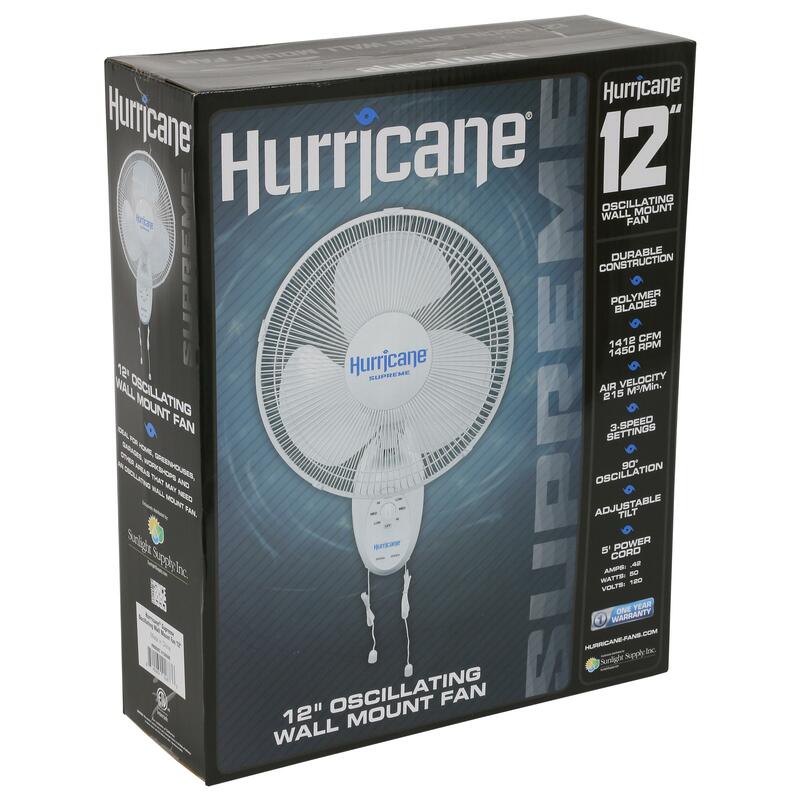 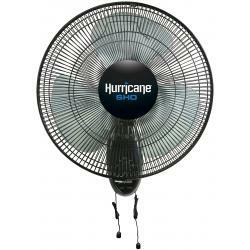 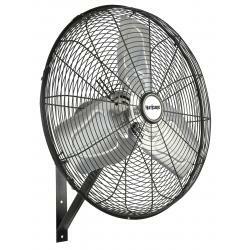 Hurricane® Supreme 12 in Wall Mount Fan is perfect for corners or spaces requiring less airflow than traditional wall mount fans. 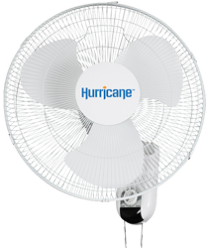 Side to side oscillation covers 180 degrees of space, while 3 speed settings allow users to choose the correct airflow for their application. 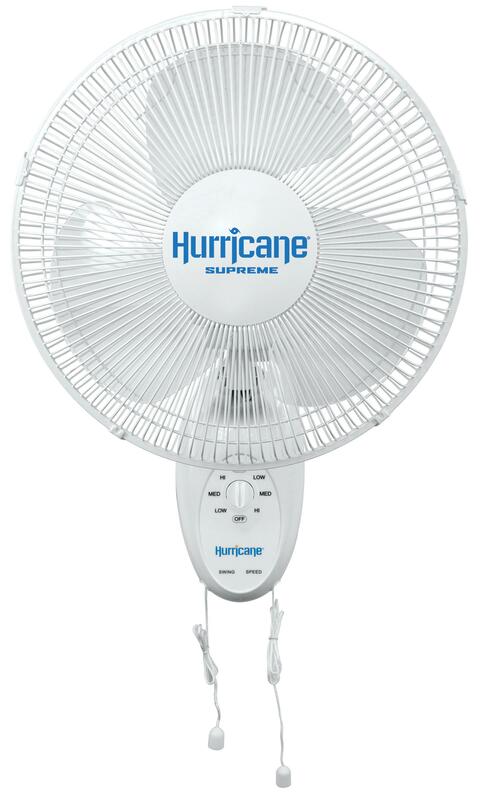 It has a 5 foot 120 volt power cord.